The Photina are 6x6cm format twin-lens reflex which are divided into two series: Photina that are only pseudo-TLR and Photina TLR where the two lenses are coupled, hence the distance setting that affects really the framing. In this second series, there are two models distinguished by the lens. This camera has a Steinheil Cassar 1: 3.5 f = 75mm as shooting lens and viewing lens. The shutter is a Prontor SVS. 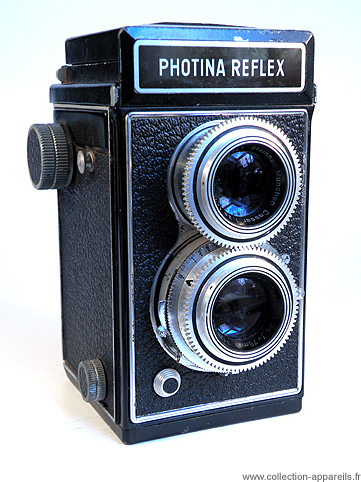 It is therefore a Photina Reflex III.